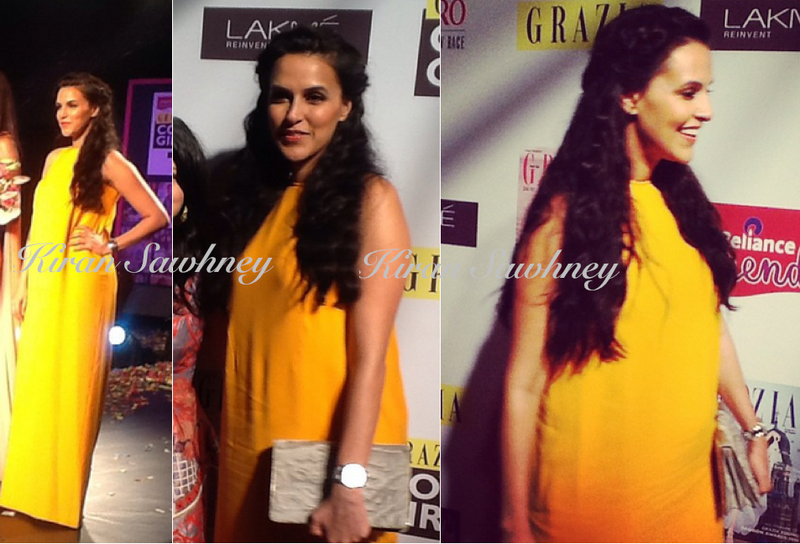 Neha Dhupia was wearing a bright colored Dior maxi in which she attended both Grazia India and Times food award. She finished her hair with a curly look and hair partially pinned. She looked nice and bright. However, we do feel that she should have added some jewelry to this solid colored maxi. Being minimalist is good but it should not be lacklustre.